123 PAY... A CREDIT MANAGEMENT TOOL TO BOOST YOUR BUSINESS CASHFLOW. Turn Your Invoices Into Cash. How does 123 PAY work? Our credit management tool prevents unpaid or disputed invoices turning into bad debt. 123 PAY members have direct access to a dedicated team of experts to help with credit management, debt and commercial insolvency related advice. 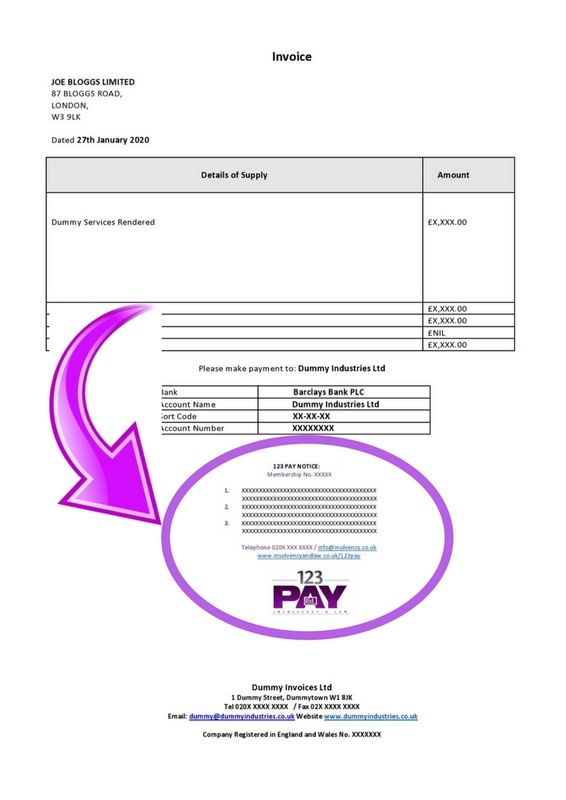 In the event customers do not pay their undisputed invoices, members of 123 PAY can take advantage of our same-day Winding-up Petition Service at a substantially reduced rate. 123 PAY is for businesses who extend credit to customers. Our membership service is inexpensive and easy to implement as part of your credit management. Our members are given a carefully constructed notice to place prominently on all invoices and delivery notes. Creditors: We will act quickly and decisively in the recovery of money owed to you. Debtors: We help to protect your interest from adverse proceedings. 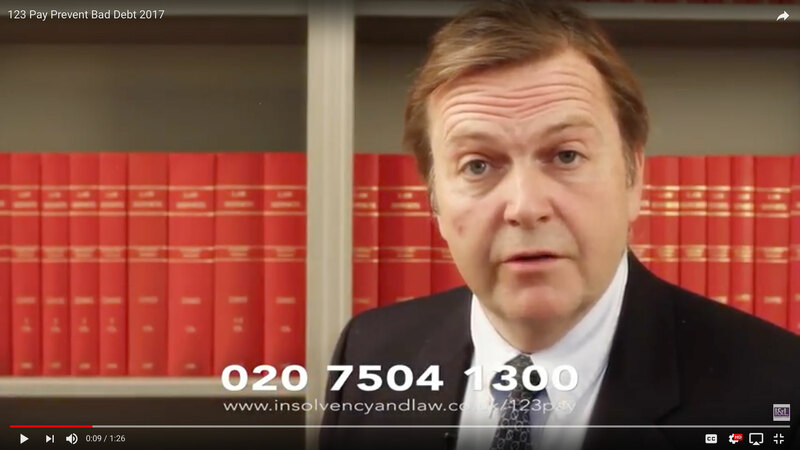 2017 All Rights Reserved Insolvency & Law.